For Traces, a 2015 film, the Berlin-based, Turkish artist used balloons, tambourines, and a children’s playground to create what is both a kinetic sculpture and a piece of minimalist experimental music. 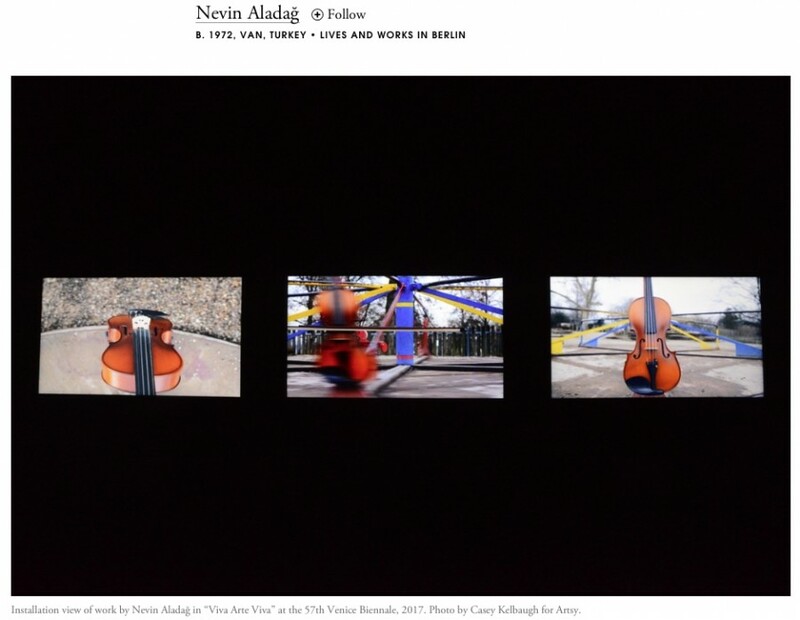 The three-channel piece combines footage and audio of various soundmaking set-ups: a balloon inflated, stuck onto the end of a flute, and allowed to wheeze its air through the instrument; a merry-go-round with a violin affixed to its outer edge, so that every time it rotates it strikes a bow placed, just so, by the artist; an accordion hung from a lamp post, groaning as it stretches its bellows. The whole scenario has the intricate choreography of a Rube Goldberg machine, but one that’s been broken down into its constituent parts and taught to sing.